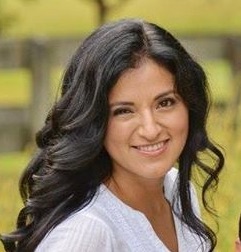 My name is Sandra Cornejo, I live in Milton, Georgia with my husband, Alvaro, and my two kids, Mateo and Victoria. I am a Registered Nurse but I stopped working when my little one was about 2 years old and I decided to become a stay-home mom. I have always loved crafting and creating new projects is my passion. I was born and raised in Peru. I moved to the US in 2001 as an international student wanting to learn English and earn my bachelors degree. During that time, I ended up meeting my best friend, who then became my husband, and we decided to form our family here. Now, this is home and we love it! A really good friend introduced me to Stampin' Up! after I sent her a hand-made invite I made for my daughter's birthday party. She invited me to her house, handed me the catalog, and the rest is history! All I have to say is that I stayed up until 2am that night looking at the catalog and making my wish list (which pretty much included the whole catalog!) 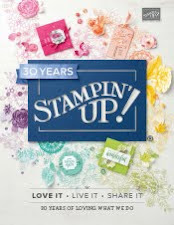 The next day, I signed up as a Stampin' Up! demonstrator to take advantage of the discount! The only thing I regret is why I didn't sign up sooner... LOVE MY SU! FAMILY! I created this blog because I want to share with you, once a week, a new project I have been working on. I hope you enjoy it, have fun and get a little madly crafting with me.